These days, it feels like every Uber and Lyft driver is also expected to be a tax accountant, in order to juggle all your tax deductions. Our mission at Stride is to simplify the regulatory pains (like taxes and health insurance) that come with being an independent contractor. Below is a list of the most common rideshare expenses, and when they should be considered tax deductible. We hope it'll help you spend less of your time studying accounting and more time earning money on the road. If you find this content helpful, you may like to try our FREE app, Stride Tax, which makes it easy to record tax deductible milage and expenses year-round. A haircut is considered a personal hygiene expense and is explicitly deemed a non-deductible expense for rideshare drivers. Because driving rideshare does not require a work uniform, clothing is considered a personal hygene expense and is explicitly deemed a non-deductible expense for rideshare drivers. Do you do other jobs besides Uber or Lyft? Unlock more expenses if you do other kinds of independent work with Stride's free tool. If you need of a snack break because you are working more than a normal workday, you can deduct 50% of that meal. A meal with a potential referral, client, or business associate to discuss work is deductible at 50% (Schedule C/PartII/Line 24b). Dry cleaning is considered a personal hygiene expense and is explicitly deemed a non-deductible expense for rideshare drivers. Rideshare drivers who use Stride Tax give themselves (on average) a 27% raise, just by deducting all the expenses they deserve. Make sure you're not missing any deductions. Get the app. Below are expenses that are deductible only if you choose not to take the standard deductible mileage rate of 54 cents per mile. (The standard mileage rate already includes all the costs to operate your vehicle: gas, depreciation, oil changes, maintenance, repairs, etc., thus why you can't claim them + mileage). At Stride, we've seen that the vast majority of rideshare drivers get more deductions by choosing the mileage method rather than the actual car expense method. Learn more about the complexities and tradeoffs here. An oil change is a deductible expense only if you choose not to take the standard mileage rate. Gas is a deductible expense only if you choose not to take the standard mileage rate. Car insurance payments are deductible only if you choose not to take the standard mileage rate. Car repairs are a deductible expense only if you choose not to take the standard mileage rate. Car lease payments are only deductible only if you choose not to take the standard mileage rate. Car depreciation is a deductible expense only if you choose not to take the standard mileage rate. Total allowed may be reduced if business use falls under 50%. 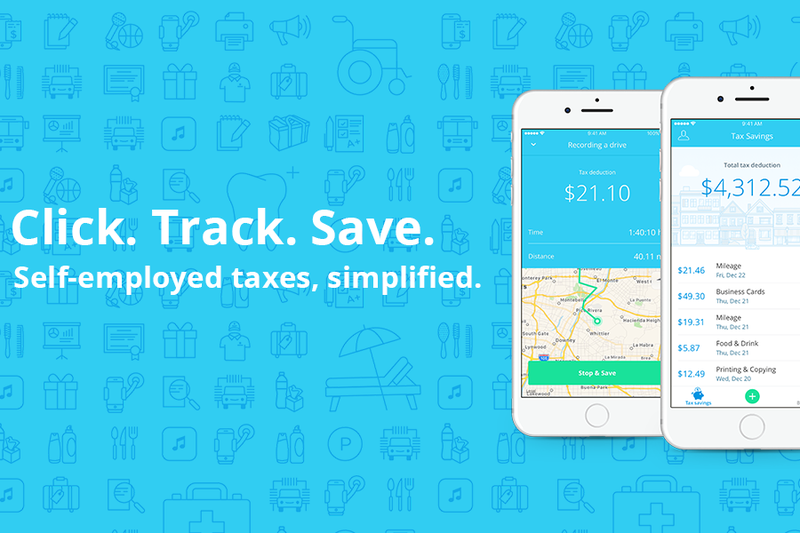 If you find this content helpful, you may also like our FREE app, Stride Tax, which makes it easy to record tax deductible mileage and expenses year round.